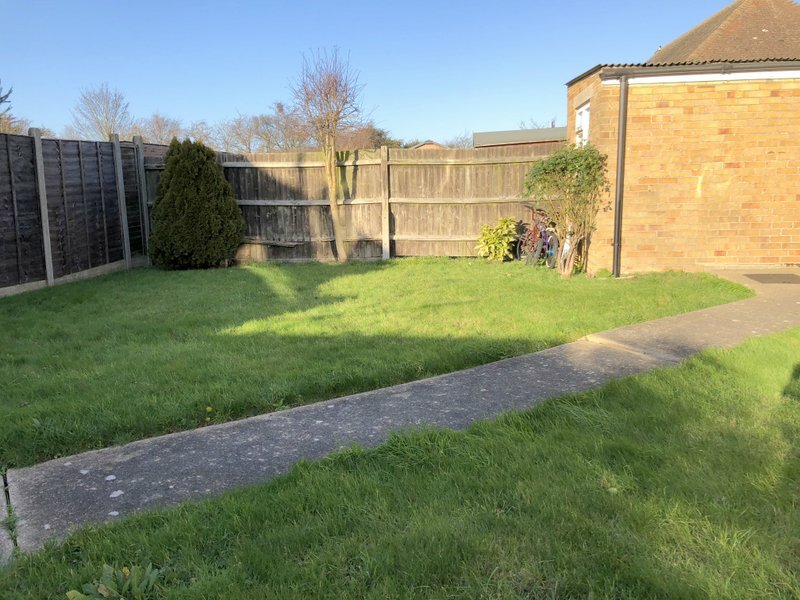 We are pleased to offer this delightful first floor two bedroom maisonette flat situated in a quiet residential area mid-way between Frinton and Walton. 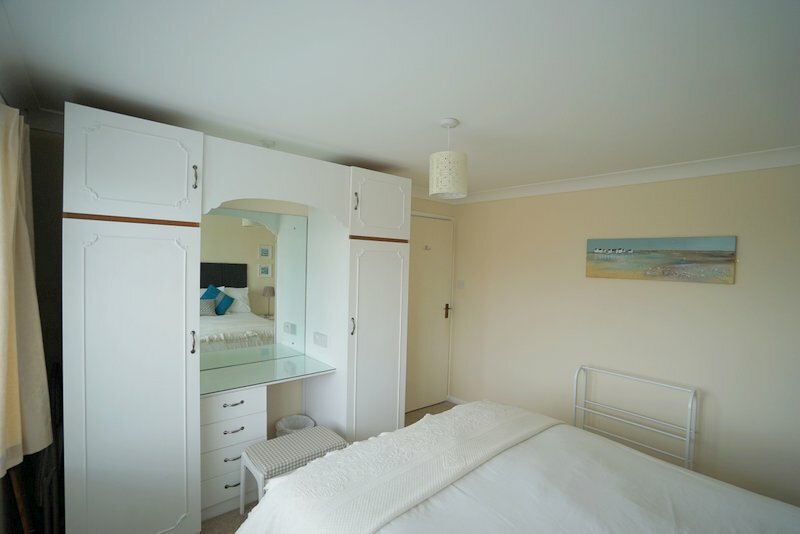 The property has been furnished and decorated to a high standard by the current owners with holiday makers in mind, offering high speed Wi-Fi, Internet TV with sound bar, Google Chrome Cast and a good selection of board games, books and DVD’s. Linen and towels are also included in the price. 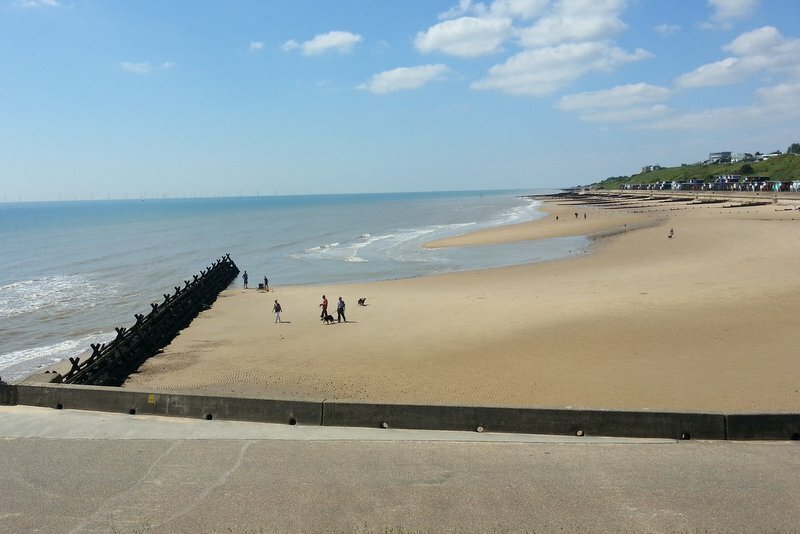 The flat, which is approximately 3 minutes’ walk from Frinton’s famous Greensward and beautiful sandy seafront, is also only a 10 minute walk from Connaught Avenue’s shops and eateries. 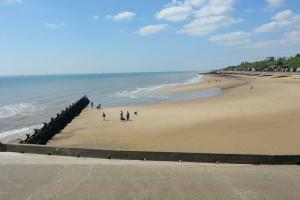 It is also ideally situated for you to enjoy Walton-on-the-Naze with its pier, wildlife centre and famous Naze Tower. With its well-equipped kitchen, comfortable lounge and dining area this is the ideal place for a great holiday for small families or couples. There is parking on the drive for 3 cars and the flat has the benefit of a rear garden. Minimum stay during this time would be 1 week. Accommodation comprises: Own front door with stairs to first floor. Lounge / Diner: With two comfortable Parker Knoll sofas, attractive electric fire, oak coffee table , oak occasional tables and standard lamp. Flat screen Internet TV with Freeview and sound bar, Blue Ray DVD player and Google Chrome Cast. 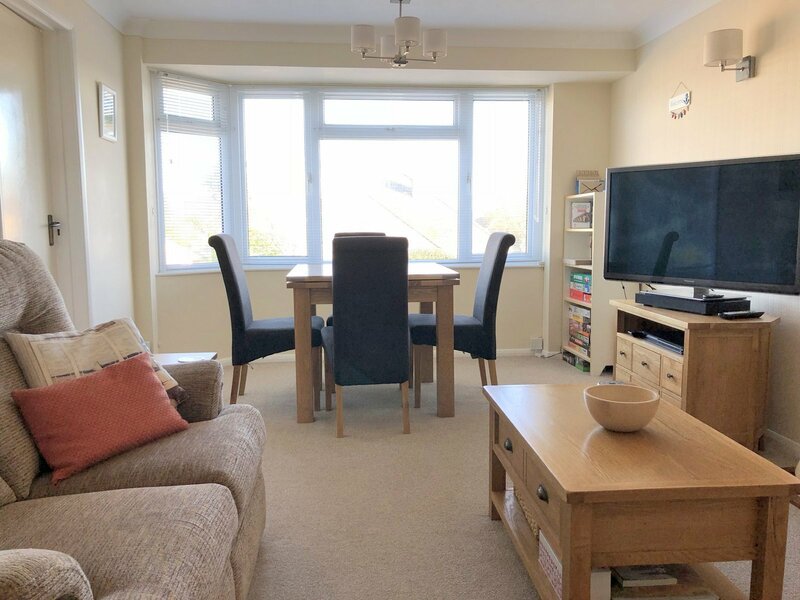 Oak dining table (extendable) with 4 chairs (2 extra chairs available), cupboard with good selection of board games, puzzles, books and DVD’s (Door to Kitchen). Bathroom: Enclosed bath with thermostatic shower attachment and shower curtain, low level w.c and vanity wash hand basin. Fancy a Weekend Break, Short break or Winter Break? 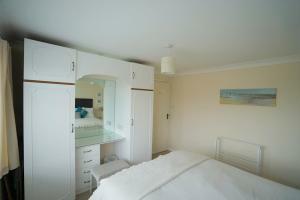 Super little top floor flat, with everything you need for an enjoyable stay. Warm and cosy, very well equipped with everything you could possibly need. 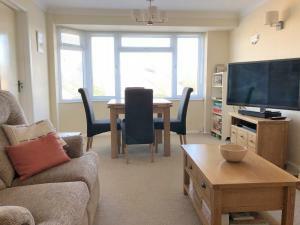 Only a few minutes walk to beach and town. An excellent upstairs 'maisonette'. Plenty of room for four people and enough crockery that you had plenty to use the dishwasher. The owners seem to have thought of everything. It was clean , comfortable and only 5 minutes from the sea front.We would certainly stay there again! Lovely place! I booked this holiday accommodation on behalf of friends from Belgium and I must say we were most pleasantly surprised by the overall cleanliness and layout of the apartment, I would not hesitate in booking this apartment in the future.